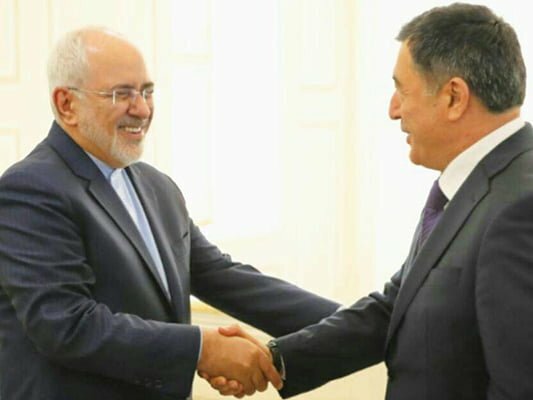 Iranian Foreign Minister Mohammad Javad Zarif and Vladimir Norov, the head of Uzbekistan’s Institute for Strategic and Regional Studies and the future Secretary General of the Shanghai Cooperation Organization (SCO), have discussed issues of mutual interest in Tehran. During the Monday meeting, Norov and Zarif conferred on bilateral and regional issues. The two sides emphasised the strengthening of relations between Iran and Uzbekistan in political, economic, cultural, transit and tourism fields. Fight against ISIS and other terrorist groups was one of the issues that the two diplomats talked about. Zarif congratulated Norov on being elected as the new Secretary General of the Shanghai Cooperation Organization. For his part, the Uzbek diplomat expressed hope that cooperation between Iran and the SCO would expand during his term in office.